5 pcs. of miniature clay leaves made of polymer clay. 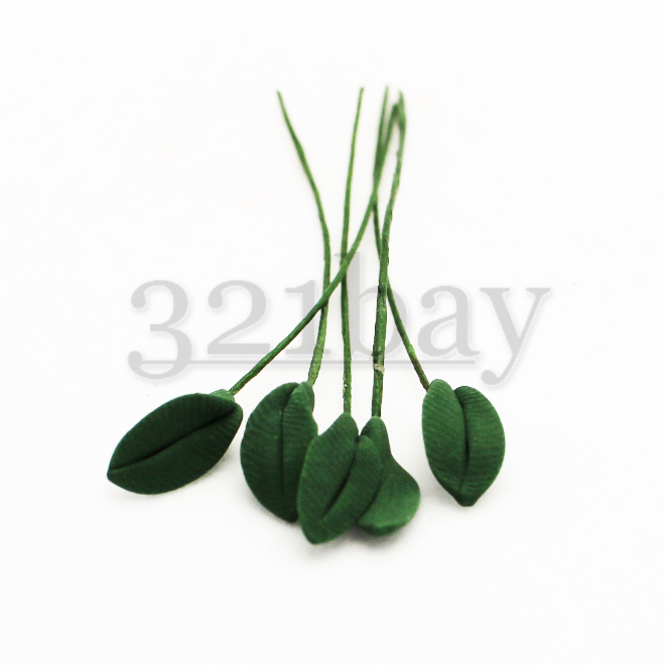 Stems of all clay flowers or leaves can be bended according to your needs. These clay leaves can be combined with clay flowers which you will find in our shop and form some lovely miniature bouquets. Here you will find our test-order item offer for miniature market. For all of our new customers we are offering test-items to try out our services. • This offer contains 5 pcs of the pictured items. • Item Scale: 1:12 Scale , 1:12. What is the meaning of: 1:12 ? • The pictured red vase is not part of this offer..
• Item Size: Length: 60 mm (2.34 inch). Height: 10 mm (0.39 inch). Width: 10 mm (0.39 inch). • You pay only 1.50 USD for your shopping cart and there is no additional shipping charge for any item in this shipping category. Handmade clay leaves or clay flowers which can be used in your dollhouse garden or in a dollhouse vase to improve and beautify your dollhouse scenery. The clay leaves are about 10 mm long and the stalk is about 60mm long. In our online shop 321plus we can offer a wide range of polymer clay made 1:12 scaled flowers and leaves which are perfectly suited to create some very individual miniature flower bouquets or vase compositions. This offer is for five miniature green clay leaves. Please note that the pictured red vase is not part of this offer.